Product is currently not available! 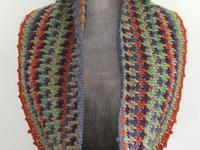 As the name implies the Bastet Cowl is a warm enveloping collar like that worn by the Egyptian feline goddess after whom it is named. 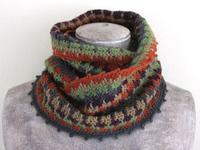 This multi-coloured cowl is crocheted with a hounds tooth stitch and picot edging. 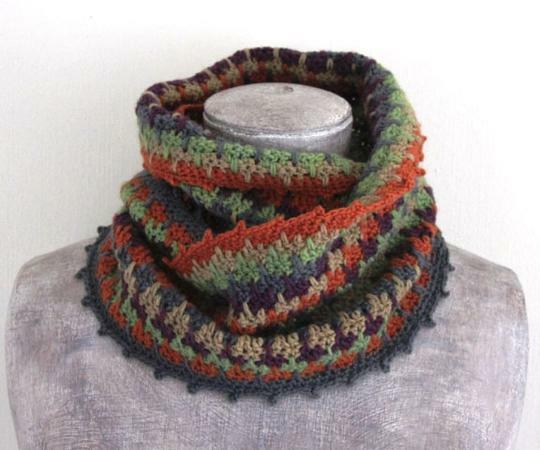 It's easy to make and can be worn in several different ways; short or double loop, close around your neck or longer like an infinity scarf. But you can also wear it wrapped around your head as a headband. 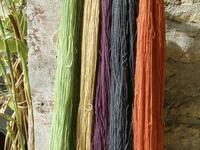 It uses 165g of our organic 4-ply Poll Dorset yarn in five different shades naturally dyed with weld, madder, cochineal, indigo, acorn cups and log-wood. 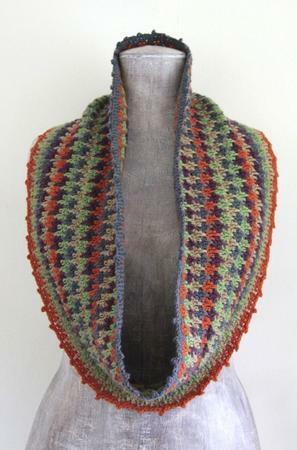 A 5 page crochet pattern IN ENGLISH with with both written and charted stitch pattern instructions, e-mailed to you in pdf form. 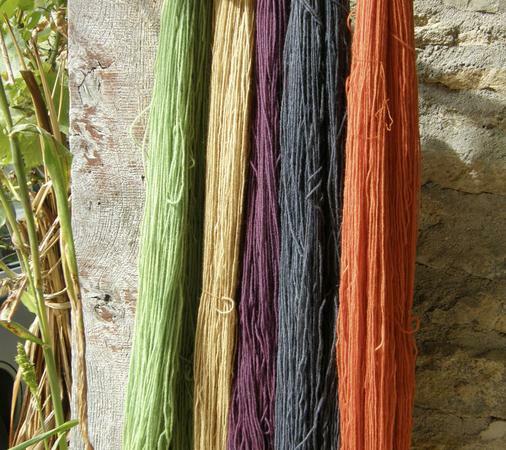 5 hanks of exclusively dyed organic Poll Dorset yarn.